This past weekend, my husband swept me off my feet to Yountville for a blowout birthday celebration. We ate and drank our way along the main street of the charming Napa Valley town, starting with dinner at Thomas Keller’s Bouchon. The upscale-but-unpretentious bistro serves mind-blowingly delicious food. From the complimentary epi bread and artichoke spread to a flaming, boozy Baked Alaska, we savored every bite. Escargots topped with shatteringly crisp, butter-filled hats of puff pastry were decadent and wonderful, nestled in pools of garlic butter in their special serving dish. Raw clams on the half-shell, one of many offerings from the gorgeous raw bar, came with a nicely kicky mignonette and cocktail sauce. Brendan’s main dish of pork four ways included a square of pork belly that literally made his eyes roll back in his head upon first bite. As for my entrée, it was a perfectly-cooked fillet of salmon atop my favorite component of the entire meal, a generous pool of lentils. You could have just put that bowl of lentils in front of me and left out the rest of the meal, and I would have been a seriously happy camper. 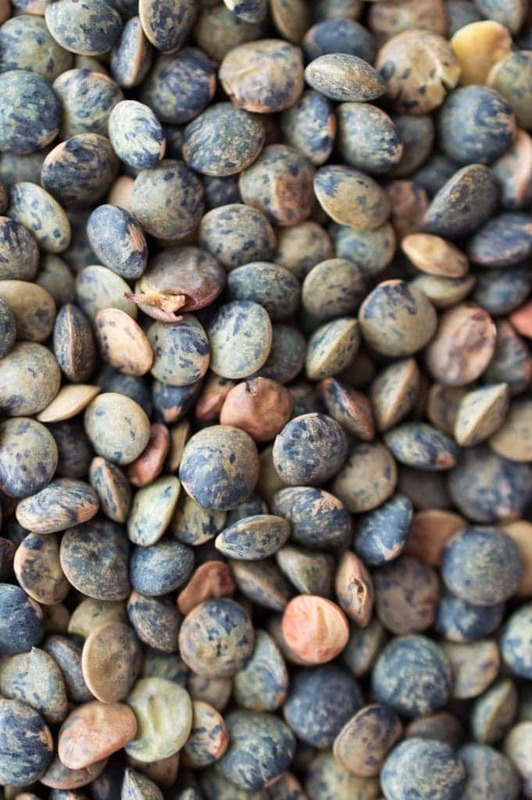 Le Puy green lentils, up close. The tender, earthy Le Puy lentils and diced root vegetables must have been napped in an ungodly amount of butter, and maybe some stock or demi-glace, too. Savory and creamy and seasoned just so, they were the best lentils I have ever eaten in my life. The next morning, I ordered the Bouchon cookbook and a pound of French lentils to be shipped to our house tout de suite. What better way to continue this Best Birthday Month Ever than to dig into Keller’s beautiful cookbook, a reminder of our trip for years to come. 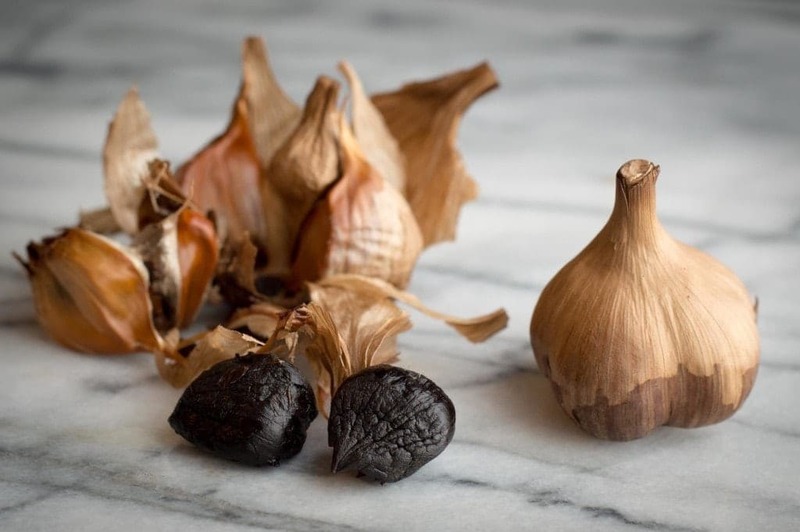 Black garlic adds savory flavor and a balsamic-y tang. 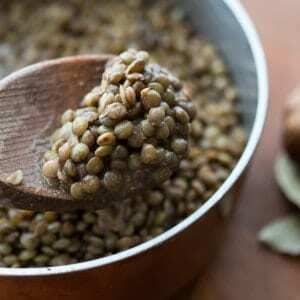 After reading up on the basic Bouchon method for preparing lentils, I felt confident enough to veer off into a variation of my own. The recipe below is not a traditional French one — it includes black garlic, one of my favorite pantry discoveries of 2014. If you’ve never had it before, I urge you to buy a bag right away! You can read all about it in my article at The Kitchn. The flavor of black garlic adds so, so much to this pot of lentils, simply simmered with a handful of traditional aromatics. Blended with dijon mustard, champagne vinegar, and a good pinch of salt, the soft, tangy garlic adds body and a wonderful savory note to the sauce. Spoon individual servings of lentils into shallow serving bowls, then top with seared salmon like they do at Bouchon. 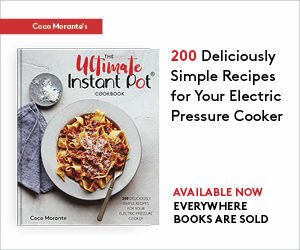 Or, for a dramatic but simple, rustic meal, serve them up family style on a large serving platter, as the bed for a whole roast pork tenderloin or rotisserie bird. They’re unusual enough to surprise and delight, but simple enough to appeal to everyone at the table. Tender lentilles du Puy in a smooth and savory black garlic and butter sauce. Make a bouquet garni by cutting out a 7-inch square of cheesecloth, placing the bay leaf, thyme and peppercorns in the center, then gathering up the corners. Use a length of cotton kitchen twine to tie the bundle closed. 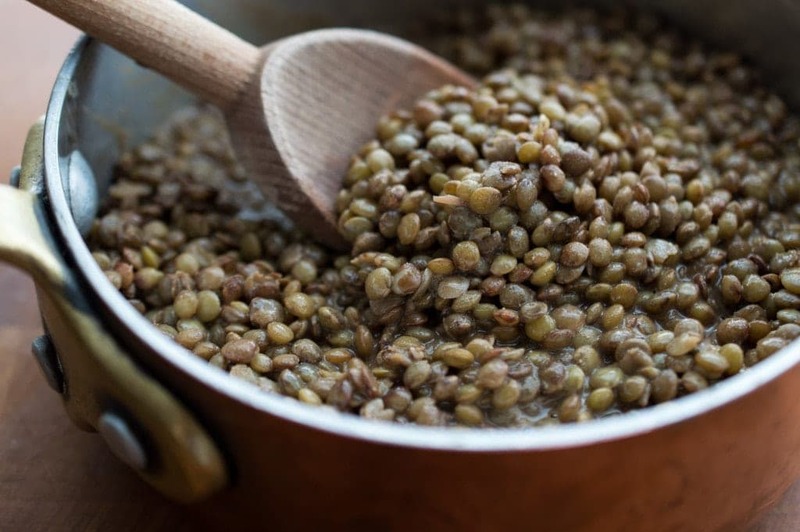 Place the bouquet garni, lentils, and water in a medium (3 to 4-quart) saucepan over high heat. 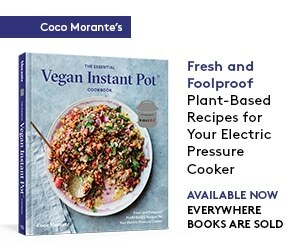 When the water begins to boil, turn the heat down to low and let simmer, covered, for 25 minutes, or until the lentils are tender. While the lentils are simmering, begin making the black garlic sauce. In a small (1-quart) saucepan, heat the butter and chopped black garlic over medium heat, just until the butter is melted and begins to bubble. Turn off the heat, then whisk in the mustard, vinegar, and salt. Discard the carrots, onion, and bouquet garni. Ladle 1/4 cup of their cooking liquid into a wide-mouthed pint mason jar and set aside. 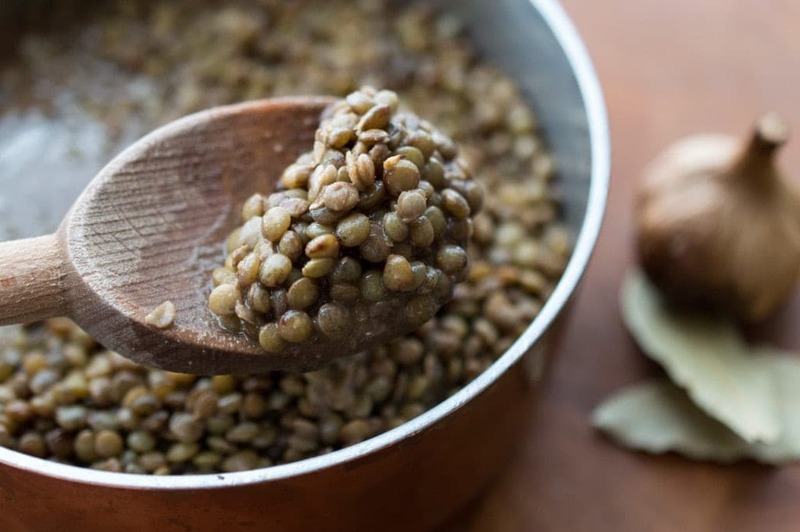 Drain the lentils of all of the remaining cooking liquid, then return them to the cooking pot and set aside, covered to keep warm. Use a small spatula to scrape every last drop of the garlic/butter mixture from the small saucepan into the mason jar with the 1/4 cup of cooking liquid. Insert an immersion blender into the liquid in the mason jar, then process until emulsified and smooth. Taste for seasoning and add more mustard, vinegar, or salt if desired. Pour the black garlic sauce into the pot of lentils. Stir to combine, tasting for seasoning one last time and adjusting if necessary. Serve warm with roast chicken, pork, or a pan-seared salmon fillet.